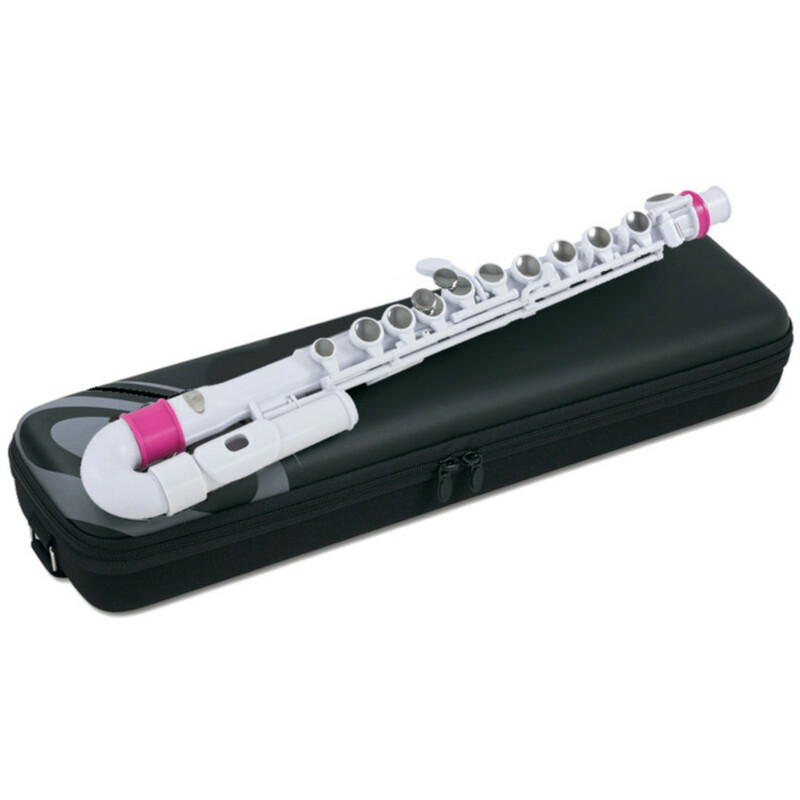 This Nuvo curved head jFlute in white and pink is great for kids looking for a fun beginner flute. The ABS plastic flute is one of the most novel flutes for sale at the moment and is suitable for children up to the age of 10. This easy to use, lightweight instrument produces a well rounded, authentic tone. The Nuvo Flute weighs only 235g. When compared to a standard metal flute that weighs between 400 and 600g, the weight saving is enormous. This is extremely useful for younger players who don't have the strength to hold a flute in the upright position for very long. The hardened ABS plastic also makes it robust and easy to maintain; perfect for the beginner wanting to take up the flute or for schools who need a long lasting instrument. The most impressive bit of this instrument is the high quality sound. Although made out of plastic, the instrument still has a great sound which is full of tone and character. The instrument has received lots of very positive feedback on the sound quality from instrumentalists and teachers. With the Nuvo Flutes, you can customise the instrument to your liking. All the key caps are detachable in order to install other coloured parts instead. This makes it a completely customised instrument to exactly your taste and a fantastic choice for kids wanting to have fun while learning the instrument. These parts are available separately.